We have finally named our yeast starter after over a month of receiving it from our neighbour. 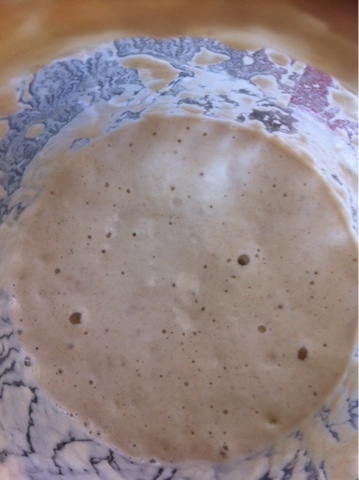 Meet Bowie, our wild yeast starter, who contributes pancakes, bread and most recently English muffins to our home. 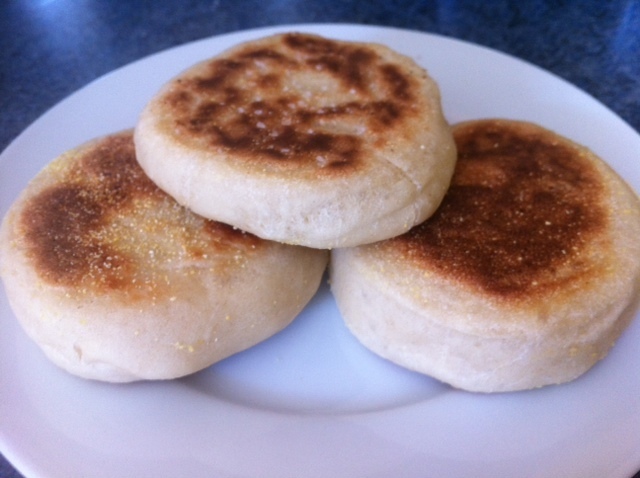 These English muffins were so easy to prep and the best part is you cook them on a flat griddle- no oven needed! 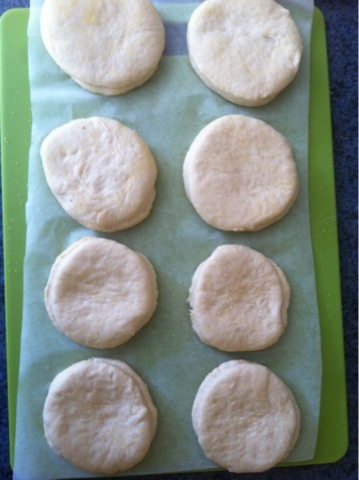 The perfect bread to make in a heat wave! And yes, plenty of nooks and crannies!